The Table Mountain National Park is a 28,898-hectare reserve which runs the length of the peninsular mountains that stretch from Signal Hill all the way to Cape Point. This world heritage site draws 4.2 million visitors a year and boasts majestic mountains, beautiful beaches, and sparkling seas. It has two world-renowned landmarks within its boundaries; the majestic Table Mountain and the legendary Cape of Good Hope. 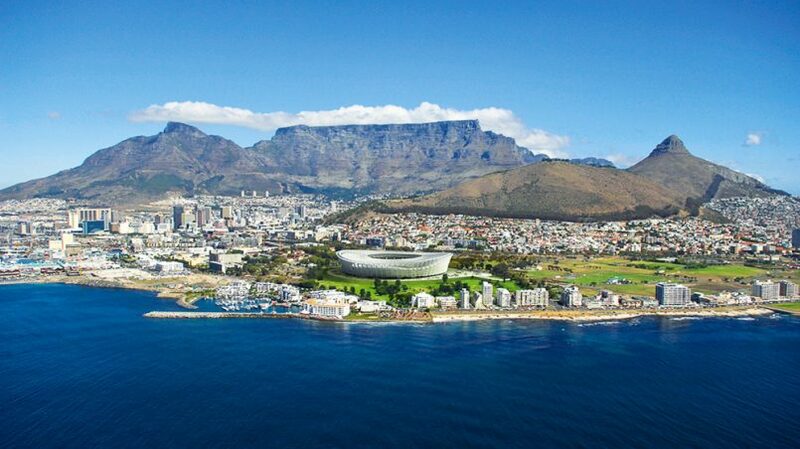 The iconic, flat-topped Table Mountain provides a magnificent backdrop to the bustling city below. Table Mountain is a great destination for nature-lovers and adventurous individuals. Tourists and locals can enjoy the activities like hiking, rock climbing, caving and mountain biking. The Cape Point Nature Reserve is situated in the southern section of the Table Mountain National Park. Secluded windswept beaches, magnificent views of the ocean and miles and miles of fynbos vistas form part of the phenomenal Cape Point Nature Reserve. The reserve boasts several hiking trails, water sports opportunities, and picnic sites. Nestled at the eastern foot of Table Mountain, is one of the greatest botanical gardens in the world. Kirstenbosch National Botanical Garden was established in 1913 to conserve and display the rich and diverse flora of southern Africa. 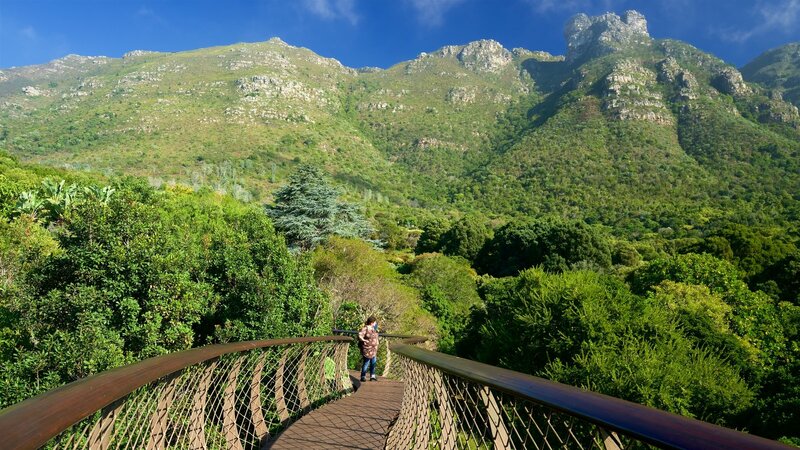 Kirstenbosch lies in the heart of the Cape Floral Kingdom, recognized as a UNESCO World Heritage Site in 2004. This renowned botanical garden displays a wide variety of the unique plant life of the Cape Flora. Plants from all the diverse regions and biomes of southern Africa are also grown at Kirstenbosch. The garden includes a large conservatory exhibiting plants from a number of different regions, including savanna, fynbos, karoo, and others. Tygerberg Nature Reserve is a 300-hectare nature reserve on the Tygerberg Hills in the northern suburbs of Cape Town. The nature reserve is one of the largest remaining areas of the critically endangered Swartland Shale Renosterveld. There are nearly five hundred different plant species Tygerberg Nature Reserve, twelve of which are threatened with extinction and eight of which exist only in Cape Town. There are also over a hundred bird species and a variety of wild mammals such as roaming leopard, honey badger, pipe, and squirrels. Reptiles and amphibians are also common. 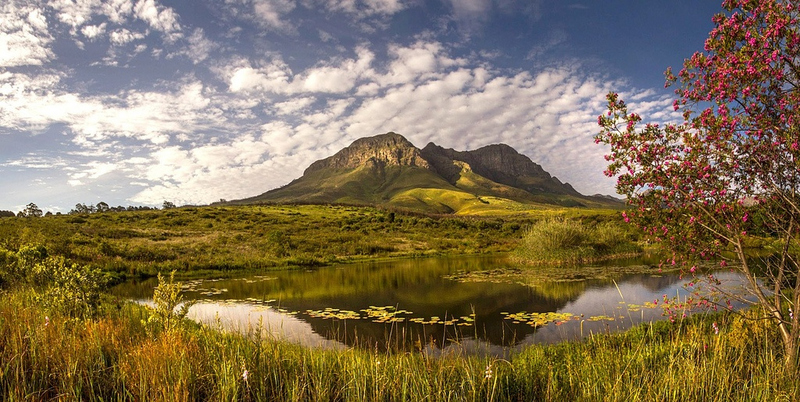 The Helderberg Nature Reserve is situated in Somerset West on the slopes of the beautiful Helderberg Mountain overlooking False Bay. This 402-hectare reserve that started out as a flower garden before becoming a reserve protects remarkable examples of fynbos, a wide range of proteas, and an enviable bird life. There are picnic spots, a visitor center, exhibitions and hiking trails for young and old in Helderberg. Animals are also found in Helderberg Nature Reserve which includes the Cape leopard, grey duiker, caracal, mongoose, Cape grysbok, steenbok, angulate and padloper tortoises and over 170 species of bird. The False Bay Nature Reserve is a unique area on the Cape Flats, situated between False Bay and Table Bay, 23 kilometers from Cape Town’s city center. The False Bay Nature Reserve covers a total area of approximately 2200 hectares and consists of six parts: Rondevlei, Zeekoevlei, Strandfontein Birding Section, Pelican Park Section, Slangetjiebos Section, and Zandwolf Coastal Section. Rondevlei is primarily conservation activity focused, while Zeekoevlei is highly utilized for recreation and is a popular yachting, canoeing and fishing venue. Strandfontein Sewage Works is a birders paradise. It is here that birders come often to watch Flamingoes, Pelicans, Fish Eagles, African Marsh Harriers and many more. Slangetjiebos is a somewhat degraded piece of land squeezed between a major landfill site, an Industrial Park, and a township with informal settlements and low-cost housing. Pelican Park is an area of vegetated dunes, where Cape Flats Dune Strandveld, the dominant vegetation type throughout the False Bay Nature Reserve, is in particularly good condition. Zandwolf is the coastal section linking to Wolfgat Nature Reserve on the False Bay coast.